So my husband subscribes to CEO Update, the most expensive old-school publication ever, which I find entertaining specifically for its old-schoolness. It arrives in all its black and white, mimeographed-looking glory each month, full of association news and association executive job postings. This month’s issue, though, was a bit of a head-scratcher for me, though, as the front page article was weirdly juxtaposed with another article that pretty much cancelled out the headliner. The leading article was “Strong personal brand is key to gaining a competitive edge,” (sorry but it will cost you a minimum of like $50 to read the whole article) which stressed how important personal brand is for association execs. From the opening paragraph that you can read for free, you can see that a career coach says “Developing and cultivating a (personal) brand is really a career-long process….It’s important we take an active role in managing it.” True. The article goes on to stress that, in this day and age, social media and your online presence is everything when it comes to branding yourself and staying relevant, stating that LinkedIn has become the primary source for many organizations when it comes to hiring, and that “the lack of an online presence is perhaps the biggest mistake that many executives make” when it comes to managing their brands and their careers. Excellent advice for anyone currently working and/or hoping to be gainfully employed from now until the Internet implodes. 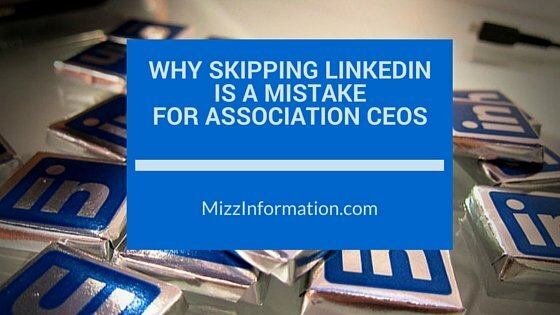 Then, on the very next page, is this article: “Not all CEOs are all in–or even on–the LinkedIn network.” This one talks about how many association CEOs feel that the risks and the hassle of having an active LinkedIn presence outweighs the benefits. A different recruiter than the one quoted in the previous article–the one that states how big a mistake it is to not have an online presence–is quoted as saying that he “does not think negatively of someone not on LinkedIn.” Um, ok? So…which is it, CEO Update–personal brand–the key component of which is online presence–is or is not important? According to John Graham, ASAE’s CEO, in the LinkedIn is not important article, LinkedIn–and ASAE’s Collaborate–is “totally appropriate and smart” for younger professionals working their way up the career ladder….but for executives at his level, networking “around town” is the way you stay marketable. So I–a 47 year-old association professional–re-joined ASAE specifically to be able to access Collaborate–was wrong for thinking that online networking and collaboration is valuable and necessary? Networking “around town” would have been more valuable to me both professionally and in terms of personal branding? I’m pretty sure that it’s appropriate and smart for professionals of any age to have a strong online presence. Here’s the thing: even if you love your job and are great at it, in this day and age, you can’t afford NOT to be on LinkedIn and constantly building your resume in addition to your personal brand. Ok, so maybe John Graham doesn’t need to worry about it, but for the rest of us, being invisible online–and not being on LinkedIn or having a bare-bones LinkedIn profile and viewing every connect request as suspect and relegating it to the “ignore” pile–is just not smart, career-wise. No matter how great at your job you are, there are no guarantees in life (ok, short of an association exec’s contract…but even then….) and continuing to view LinkedIn as just another Facebook and/or waste of time is just not a good idea. I’m not saying that you need to log hours on LinkedIn–or any social network–each day or even week, but deluding yourself into thinking that it’s not important is, in my opinion, career suicide, not to mention, bad karma. Yes, I just said that–bad karma. How many association execs are investing in private online community platforms for their organizations, seeing them as valuable ways to increase member value and member engagement? Just today I got an email from Higher Logic about a new case study–ASAE–and how valuable their private community, Collaborate, is. 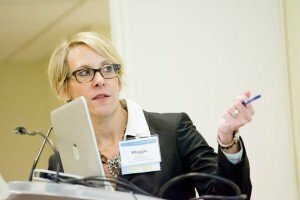 But wait…didn’t ASAE’s CEO just say in the CEO Update article that online communities–including Collaborate–are “totally appropriate and smart for younger professionals”….but not for, um, not-younger professionals such as myself or anyone over the age of…who knows what age qualifies as “younger”? What if everyone on Collaborate–or any association online community–thought that online communities are a waste of time unless you’re “younger”? The thing with online communities–both public, like LinkedIn, and private, like the one your association is probably either already investing in or about to be launching–is that you have to give to get. If you–or your association’s CEO–thinks that online community is a waste of time, then he/she can’t expect anything different from your organization’s members….or from recruiters in the unfortunate circumstance that he/she finds him/herself job searching one of these days or years. Nobody wants to be job-hunting, least of all CEOs. But in this day and age, unfortunately it’s not always up to us and LinkedIn is just a necessary evil in terms of professional credibility the same way a website is for businesses. Again, I’m not saying you need to spend hours each week updating your profile and/or sharing in LinkedIn groups or whatever, but uploading a photo, filling in your profile and not just ignoring every.single.connect request….that bare minimum you do need to do to remain relevant. And to association CEOs who depend on keeping their orgs relevant, here’s the thing: yes, as the figurehead of your association, it is your personal responsibility to remain relevant professionally…and LinkedIn is part of that. So break out that headshot from your last Headshot Lounge (because I’m pretty sure every association exec, ever, has one), upload it to your LinkedIn profile and get to accepting some of those LinkedIn connect requests. I promise–most of the people looking to connect want nothing more from you than just what the connect request states: to connect on LinkedIn. It is not that serious–I promise.